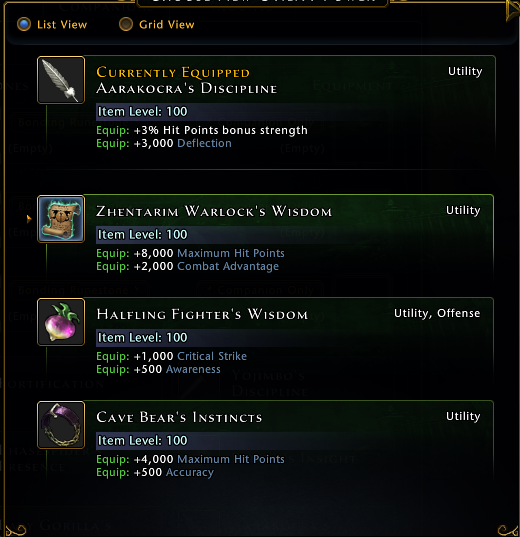 If you haven’t jumped into the preview for Neverwinter: Undermountain, then this dev blog is for you: PWE Lead Systems Designer Salim “Silius” Grant breaks down the latest changes to the companion system coming to the next expansion. 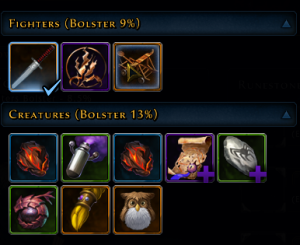 The developer blog includes a plethora of screenshots on changes which have been broken down into three categories: ACBs and player bonuses, pet enhancements, and bolstering. For those not in the know: ACBs are active companion bonuses, but ultimately, it doesn’t matter because they are going away and player bonuses are taking their place. The player bonuses are derived from all companions (active and non-active) and are categorized by type: offense, defense, and utility. Player class determines the types of bonuses that players can have, but every class includes at least one of each category. The most interesting pet enhancement is the ability to use any companion equipment, but that also means that companions can no longer use player equipment. It’s a give-and-take, but ultimately, the developers believe it’s a step in the right direction. In another give-and-take: Eldritch runestones have been replaced with Bonding runestones in an attempt to simplify those bonuses. Lastly, active companions receive bonuses based on the other companions in storage. The system is a little complex, but the quick breakdown version involves companion categories and quality of other companions. There are fighters, creatures, invokers, mystical, and beasts. Based on the quality of each companion you have in those categories, your called companion will earn a small percentage bonus. The images show up to 13% bonus, but no limit has been officially announced. The test server for Undermountain is currently up if you’d like to experience it for yourself, but you’ll be waiting until later this spring to find these changes in the live game. I hope this does make a wider range of companions viable. I’m a bit tired of seeing Chultan Tigers everywhere. UGH, they are changing soooooo much! Good and bad, going to take time to have to basically re-learn everything.